The knockout stage of the World Cup begins tomorrow with Brazil facing its South American rival, Chile. Here, three Caipirinhas and three Pisco cocktails to enjoy on game day. Brazil's most famous cocktail is a simple mix of crushed lime, sugar and cachaça over ice. This punch-like take on the caipirinha features Cabernet blended with spicy Syrah. Orange Muscat adds delicious citrus flavor to the classic Brazilian drink. Both Chile and Peru claim this drink as their national cocktail. Fresh pineapple chunks, pisco and pineapple gum syrup make this the perfect tropical party punch. 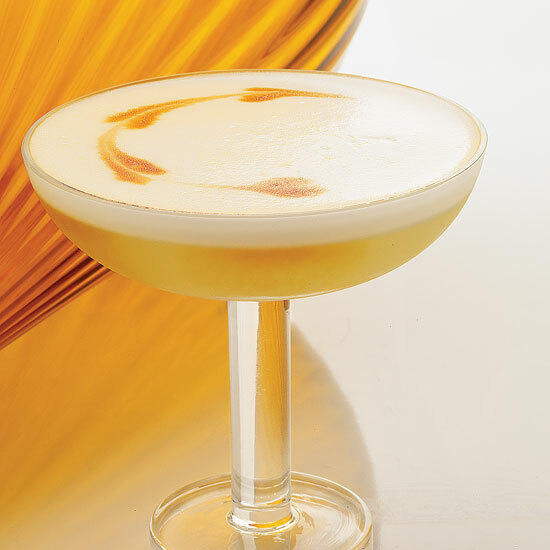 Made with apricot brandy, this Pisco Punch-inspired cocktail dates back to 1951.